Have you ever heard someone (usually my dad) say that something is only ever worth what someone is willing to pay for it? Value is a funny thing as we all value different things! So what happens when you put a price on the way a company is run & a service is delivered, rather than solely on the service itself? Last Christmas I was waiting for a parcel to be delivered. Amazon had apparently dispatched it to my house but as I was not the purchaser, I didn’t have the tracking details. It arrived when I was out but the delivery guy helpfully left the huge squishy bundle outside by the bins with a note through the door explaining where it was. When I arrived home, I was questioned about what I had bought that was so big and squashy. So instead of revealing the true contents I decided to have a bit of fun. I explained that I had received something that I had been waiting eagerly for, something made from the finest feathers. Now I had been jokingly lusting after an obscenely expensive goose-down coat for Christmas, and my audience clearly thought I had given in and bought myself one, the week before Christmas. Horrified looks were exchanged in the hallway. It was now clear that I had been bought something similar and warm for Christmas. The atmosphere changed instantly and I realised that I had just, unwittingly, spoilt my own Christmas surprise. You can imagine the confusion then, when I then unwrapped the delivery to reveal the contents to be a brand new single duvet that a client had sent me for the holiday rental property that we service for them. There was no coat but the game had already been given away, and so there was no ‘surprise’ on Christmas morning for me either when I unwrapped a rather lovely and warm body warmer. So exactly why was a client sending me items of bedding to me in the post? Well, the client lives part of the year outside of the UK and we like to ensure that as a housekeeping service we make our best effort to understand and appreciate the customers needs in every situation. The client was having a tough time with the property in that a previous occupant had left it in a undesirable state and we were tasked with turning it around in time for the festive guests arriving. We really felt that it was important to go that little bit above and beyond to ensure the incoming guests were not disappointed with their festive ‘digs’, thinking it would spoil their celebrations. Its not just bedding that has us in a spin! We have been known to delay deep cleans so that our client could wait for the weather to break in order to get their seedlings off their dining room floor and into the garden (and the resultant potatoes were divine). We have helped clients with crosswords, taken recycling to the waste recycling centre (we were going past), left bubbly in a house that we ‘trasnformed’ as a post honeymoon surprise and sent flowers to those in need. This is part of our values based approach, which you can learn more about here. I am sure that you have heard other organisations mention having a code of values but here at Bright and Beautiful we believe in integrating these values into the way we run our business. They are just our way of life, our identity I guess, and the way we ensure we maintain our brand reputation by delivering our service with respect, integrity and customer focus. Of course, we don’t always get it right but we strive to live by our code of values whilst having fun in the process. If you are looking for a housekeeping service with a strong values, drop us a line here and we will get in touch with you. Pillow Talk – A common discussion topic when we train our professional housekeepers is around whether a pillow should be tucked in or placed on top of the duvet. We find that pillows ‘stood up’ on top of the duvet offer a more contemporary look. We believe that the best dressed beds are all down to the detail. Ensuring the pillow buttons, edging or openings are facing away from the middle of the bed can make all the difference. Layering is very easy way to change up your bedroom look without having to spend lots on a whole new set of linen. Try adding a throw, cushions or even a bedspread to change the overall appearance of your boudoir. For a really crisp and precise finish, you can’t beat the old school ‘hospital corners’ approach with a flat sheet. This is a great way to make your guests feel like you have really gone ‘all out’ for them. Just click on the short video here for a masterclass. The Future is Bright, The Future is (Pink &) Orange! Hello! We have been rather quiet on social media for a month or so. We’ve missed out on all the baby shark videos and all those adorable school uniform first day pictures. In fact we are a little bit horrified to see all the autumnal leaves swirling about on social media, I mean, how on earth did October creep up on us already? But is’s all been worth it. You see, we’ve been earning ourselves quite a reputation over the last few months for providing the best housekeeping and cleaning services in and around Chorley. And so, all of a sudden we’ve had an influx of requests for us to make people’s homes sparkle. And more business means we get to bring more people into our team. It’s an exciting time for us because we get to pick out the top talent to come and join us. (And also exciting as obviously we get to do the Lord-Alan-Sugar-dramatic-arm-pointing-gesture……….. ‘Your Hired!) It really is an enviable position to be in. We’ve been getting ourselves five star reviews from our clients, and that means we need to recruit five star housekeepers. But finding people who embody our company’s values can take time. We are looking for a particular type of person that will fit with us and our Bright and Beautiful ethos. Because we are offering a career, rather than a job, we need to get it right. Not only do our housekeepers need to be able to drive, be professional and prompt, we also demand a high level of customer focus, integrity and respect. And we won’t budge on that. You will be someone with a keen eye for detail, who is a great people person. Our team are proud of their meticulous standards and we are looking for someone who can bring energy to the team whilst helping us to maintain this high level of work. If this sounds like you, and you would describe yourself as positive and polite, read on to find out what we can offer the right person. We have hours to suit your family life and we do not work evenings, bank holidays or weekends. (Yasss!!!) We love to share our trade secrets with our team and so full training in our proven methods will be given, along with a Bright and Beautiful company uniform. All our drivers are entitled to mileage allowance when using their own vehicle and all team members receive a full employment contract – no zero hours contracts here! Our team offer a supportive environment, and the managers are great too…… all whilst having fun in the process. 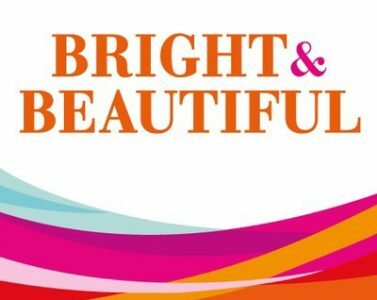 If this has left you wanting to know more about life at Bright & Beautiful, why not visit our Instagram or Facebook pages. If your really serious, you can apply for one of our coveted Housekeeping positions here by filling out our short online application form. Either way, it would be great to hear from you. Our future is Bright (& Beautiful)! Is yours? Yesterday, July 17th, was ‘World Emoji Day. Love them or hate them, it seems emoticons & emojis are here to stay. Having originated from the Japanese market and adopted the world over after Apple introduced an ‘emoji keyboard’, even my 90 year old grandma is quick to comment on the smiley faces etc. when we share messages from my cousin in Canada. But are we getting lazy with the ability to click ‘like’ on a social media post rather than engage in a more meaningful way? Or is just a quick ‘like’ enough to let someone know you have spent a few minutes on something that is important to them? Either way, it seems that we have become a much more visual community, based on the popularity of apps such as Instagram and Snapchat. We have a client who often greets our team at the door wearing full suit attire on their upper body and lounge wear on their bottom half, complete with novelty slippers. The client is a renowned professional, and spends a lot of the time (when we are around) on conference calls to various worldwide agencies, unbeknown to their audience, clad in bright fleecey pyjama bottoms with a cat on their knee. Our client isn’t changing reality, they are still wearing a suit (in part) but just modifying their audiences perception, or providing the image that they expect to see. You might have heard of the instagrammers hiring private jets for little over 10 minutes in order to take the all important photo to post showing their supposed Champagne lifestyle. Most of us have at one point or other arranged the table of drinks or added a filter to make our social media post look a little more appealing. However, the picture of the cocktail doesn’t always tell the full story. The story that starts with the blisters on your heels after you walked for miles because the train you should have caught was cancelled, and then getting soaked when a taxi drove through the puddle as you waited to cross the road and receiving a painful elbow in the ribs as you hustled in the queue at the bar to be served your cocktail. We just see the cocktail. The exotic-looking-fun-time-with-friends-in-a-bar-in-Manchester-on-a-week-night cocktail. We all know that looks can be deceiving but by predominantly sharing the glossy, glittery, filtered images are we slowly filtering out ‘real life’? At Bright & Beautiful home, part and parcel of our services is the presentation and dressing of our clients homes. Our ‘hotel feel’ finishing touches means that our clients are greeted with the ‘wow’ factor when they arrive home, and not just a sparkling clean house. Luckily, there isn’t a filter needed for this but my blog musings have made me wonder whether we are promoting this fake version of reality by providing the the ‘hotel feel’. I know that this is not really the case though. We are providing a service that is real. The property is clean and the cushions are arranged in a way that the client may very well have done them selves if they had enough time to devote to this. There is not way to put a filter on the feeling you get when you walk into your Bright and Beautiful home. This is our reality. So perhaps,as a community, we do ‘over share’. My grandma certainly wouldn’t have taken a picture of her bed on a camera, sent the film off to Super Snaps for processing and a week later shown her friends her 6×4’s of her bedroom, back in the day. Imagine if every significant life event still required a formal announcement being sent to the local paper. ‘Births, deaths, marriages & ‘in a relationship with…’ doesn’t quite have the same ring to it, does it? It is very easy now though to snap a picture, add an emoji and post it on social media or send as a direct message in a matter of seconds. I guess it is only ‘over sharing’ if the recipient is not interested or feels that there is too much information being offered, and clearly for some of our clients friends, its a welcome interruption to their day. (We have won clients through social media and picture sharing). For us, it really is all about the picture perfect home. As for our clients, we will encourage every hashtag, share, like, recommendation, review and post because without our clients, we would definitely have FOMO. 1. Before you start decorating, plan your room using a mood board by collecting pictures of items, colours and fabrics that you like to help you keep on track. This can be so easy using an electronic mood board on Pinterest or Houzzz website/app. 2. When arranging items out on display, try grouping them in odd numbers as it is more pleasing to the eye. 3. Avoid excess matching of colours for a more natural, relaxed look. Instead, try using colour themes. A few similar shades of the same colour adds a bit of variation to the room whilst avoiding a very formal look. If your feeling a little daring, why not brighten up a neutral scheme by adding a bright pop of colour in the form of a couple of statement pieces of furniture or artwork. This week I have seen a few brightly coloured Chesterfield sofas doing exactly this, incredibly well! 4. When choosing key pieces of furniture, think about practicalities such as how you will clean that beautiful but intricate chandelier you have your heart set on, or a whether a mirrored tv stand will drive your crazy when it is covered in sticky finger marks or puppy wet nose smudges. 5. If you have too many lotions and potions in your bathroom or on your dressing table, invest in some extra storage to draw the eye away from clutter and focus on the areas you do want to give attention to. Stand at the door to the room and see what you notice first, if its a pile of clutter then you perhaps need to find another home for it. If you are interested in our picture perfect finishing touches, why not book a quote and see what we can achieve in your home. I have ‘form’ for getting searched at Airport Security. It goes way back to being strip searched when I was travelling to America with my parents as a teen. Perhaps I look ‘dodgy’. Perhaps I have very metallic blood that sets off airport scanners (just kidding). Either way, my most fond memories of travelling abroad do not include endless security checks, especially ‘That’ time in Jamaica. We were supposed to be having ‘one last family holiday’ before my brother and I were deemed old enough to prefer holidaying with friends instead. As a souvenir I had purchased a ‘rain stick’, which is essentially a piece of bamboo filled with rice which makes a sound that imitates falling rain when turned over. On arriving at the departure hall ready for our flight back to the UK, I was directed to security after being informed that I was not allowed to take the rain stick on board with my cabin luggage, instead it would have to go in the hold. I was told to go and see the ‘packing man’ who would help me to wrap my treasure for a small fee, whilst my family had to stay in the queue to check in. Clearly this guy had a good sense of humour as he wrapped up my piece of bamboo with a triangular piece of cardboard at one end, meaning my innocent rain stick now looked like a cartoon wrapped shotgun. So I tucked my parcel under my arm and started to wheel my case over to the check in desks. Needless to say, I now looked supremely suspicious in a very comical way and was attracting the attention of some burly security guards. In the departure hall there was a row of tables and random spot checks were being carried out which is pretty common in the Caribbean. I didn’t make it past the tables. In fact, I had by now gained the attention of a few more security staff with huge, scary looking (genuine) guns casually slung over their shoulders. I probably looked really guilty too as I often feel like this when I pass a police car even though I have nothing to hide! As we are not really accustomed to seeing guns on display in the UK, the whole situation was getting more and more terrifying, and I couldn’t see my family now as they were at the very front of the check-in queue. Mr Security demanded that I open my case, and I felt really nervous as I struggled with the lock on my prized turquoise hard shell suitcase. As I opened it, there was a collective gasps from everyone around me. I looked up confused, and glanced across at the other cases either side of me to try and figure out what was wrong with mine. I have never seen contents of a suitcase quite like it – You would be forgiven for thinking it was like everything had been bundled into my neighbours cases, but that description would be far too kind. The contents actually looked like they had been plucked from a washing machine, mid cycle. Some wet and some dry clothes, all screwed up into one big ball with a couple of aerosols and an odd shoe thrown in for good measure. I looked back at my case and realised that the gasps I had heard were in admiration for the neat segregated piles of ironed and folded clothes. The toiletries and make up were in their own little labelled bags, and my shoes in pairs with socks stuffed inside. Clearly this was not a normal occurrence and the security guard refused anything further than a cursory lifting of one corner of folded clothes, reluctant to disturb the uniform layers. It turns out, on reflection, I have always been a neat and tidy holiday maker. Write a packing list. This to me is invaluable now that I have to pack for my little girl as well as myself. It can help you evaluate whether you have included too many outfit changes. When you have a list that you can check off against, it doesn’t matter if you have to go back to finish off your packing once you have completed the laundry of any items that you want to take with you, as you can keep track of what has already been packed. It is a great way to make sure that you remember the items that you are unable to pack ahead of time too, such as items that you use everyday. Roll your clothes to reduce space and avoid creases. Pick out the clothes you think you should take and then halve the amount! Think about taking similar colours which can be worn a couple of ways to increase your outfit options. Place tumble dryer sheets in-between layers of folded clothes to keep that freshly laundered scent rather than the odour from travelling in an aircraft hold or car boot. Always pack a spare outfit and essentials into your carry-on hand luggage bag in case your suitcase doesn’t arrive at the same time that you do. Use packing cubes or re-use carrier bags to segregate items so they are easier to locate. I have been known to pack whole outfits for my daughter in freezer bags in order to be able to grab a complete change of clothes easily, down to the socks, vest and a bib. Arrange your housekeeping service to ‘Deep Clean’ your home whilst your away. There is nothing nicer than returning home from the chaos of an airport to a clean and tidy house, fresh smelling fridge and perfectly made bed, just like the ‘hotel feel’ that you have been used to on your trip! They say that ‘Travel is the only thing you buy that makes you richer’ but here at Bright and Beautiful, we disagree. For busy professionals, we offer the ability to buy your time back and give you more free time to do the things that you love to do whether that is at home or away. For a deep clean or a regular cleaning service, check out our website and see how we can make your home even more inviting to return back to this summer.